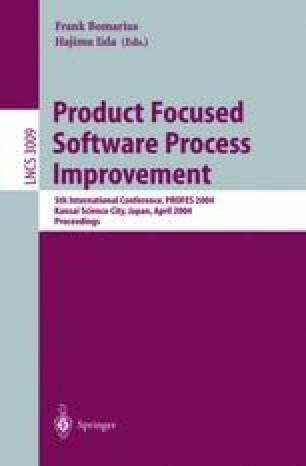 The need for systematic evaluation of process quality and of the resulting products has always been an issue of primary importance within the software engineering community. In the past few years many factors have determined changes in the software process scenario that inevitably impact on software quality. To this end, goal oriented measurement models, such as Goal Question Metrics (GQM), have become essential for assessing desired quality and for enacting software process improvement (SPI). Although the importance of measurement is a shared issue, many software organizations encounter difficulties and strive to define and adopt measurement plans successfully. Causes are most likely attributable to critical issues such as measurement plan dimensions, complexity, dependencies among goals. Often the industrial projects are characterized by GQM plans with numerous quality factors and, consequently, numerous goals. This makes both measurement and interpretation procedures quite onerous. Furthermore, managing a measurement plan turns out to be quite costly and requires numerous investments. To this end, this work proposes a GQM-based approach (Multiview Framework) that provides support in designing a structured measurement plan in order to overcome the common problems mentioned previously, and manage large industrial measurement plans. The proposed approach has been validated through a post mortem analysis, consisting in a legacy data study, carried out on industrial project data.